A 300 year anniversary meant more than one day of celebration for Salford Mennonite Church. Beginning Sunday, September 10th and culminating with a feast of events the following weekend, it was a look to the past that has shaped the present as the congregation heads with hope to the future. Sunday, September 10, Salford began celebrating 300 years of history and hope with guest speaker and author Brian McLaren who among other things gave a presentation of his most recent book, “The Great Spiritual Migration.” McLaren urges Christians to follow closely the words and teachings of Jesus rather than give priority to doctrine and theology. 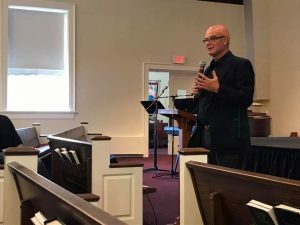 Links to his sermon and afternoon presentation can be found at http://brianmclaren.net/heres-what-i-shared-in-pennsylvania/. The service also included a song written by Lynelle Bush. The following weekend of celebration began on Friday, September 15 with a play, “These Are My People,” written by Ted Swartz of Ted & Company in collaboration with Brent Anders and was performed by a cast of Salford members along with Ted. Presented again on Saturday evening, it told the story of Salford including why people come, why they leave, the struggle of change from the past to the present day, and the sacredness of gathering together. Saturday, September 16, a community day was held in the grove next to the school house which included food, fun, and historical tours. 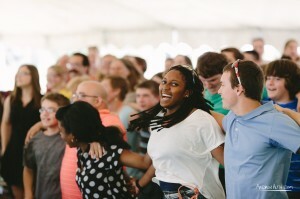 A large tent shielded church members and visitors from the warm sun and provided a place to gather, eat together, and enjoy music provided by groups that included Salford members. Bus tours of local Mennonite history, led by John Ruth, included the Dielman Kolb House, Lower Skippack Mennonite Church, and Upper Skippack Mennonite Church, as well as sights throughout Skippack, Upper Salford, and Lower Salford Townships. Joel Alderfer of the Mennonite Historians gave cemetery tours telling of past members who shaped Salford’s history. Saturday’s activities also included volleyball in the grove and children’s games from a century ago. Children also painted rocks for Color Harleysville, cheerful rocks to be hidden and found throughout the Harleysville area. A photo booth made for fun reminders of the day. Sunday morning, September 17, began with worship and ended with a catered meal for members and visitors. The sermon on Matthew 14, given by pastor Joe Hackman, focused on having the courage to ‘get out of the boat’ when Jesus calls. Examples of courage were former pastor Mim Book in following her call in a time when women’s ministry gifts were not recognized, and of MJ Sharp who lost his life working for peace in the Congo earlier this year. The service also included art and musical offerings. A vocal ensemble and the choir each sang songs of rootedness and vision. As well, a commissioned fraktur by Roma Ruth was presented by Mary Jane Hershey and Roma Ruth and is hanging in the church lobby. Attending the morning service were former pastors Jim Lapp, Ben Wideman, Mim Book, Maribeth Longacre Benner, Jim Longacre, Loren Swartzendruber, Michael King, Willis Miller, John Ruth, and John Sharp. A panel discussion by the former pastors was held during the second hour in which they reflected on the eras they served at Salford. 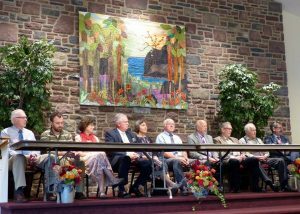 In a blessing to the congregation former pastors, Jim Longacre and John Sharp urged the congregation to turn away from Fundamentalism and Evangelicalism, to turn back to the teachings of Jesus. John Ruth, in agreement, also reminded us to return to the early Anabaptist teachings and to focus on relationship, which is core to salvation. It is said that the growth of a plant is proportional to its roots. Salford’s deep and expansive roots are testimony to a rich and fertile relationship with God. Remembering the past, the changes that have taken place, and that God is always faithful and will be faithful in the changes to come made for spirits ready to grow and a celebration full of hope. In a time of significant changes with youth ministry staffing and high school age youth demographics, last month Franconia Conference began a Youth Ministry Review/Visioning taskforce. The Taskforce will be working on a six month process reflecting on our Conference’s youth ministry initiatives. The members were by the Conference Board to review past and present youth ministry staffing and work at setting a vision for Conference youth ministry in the near future. 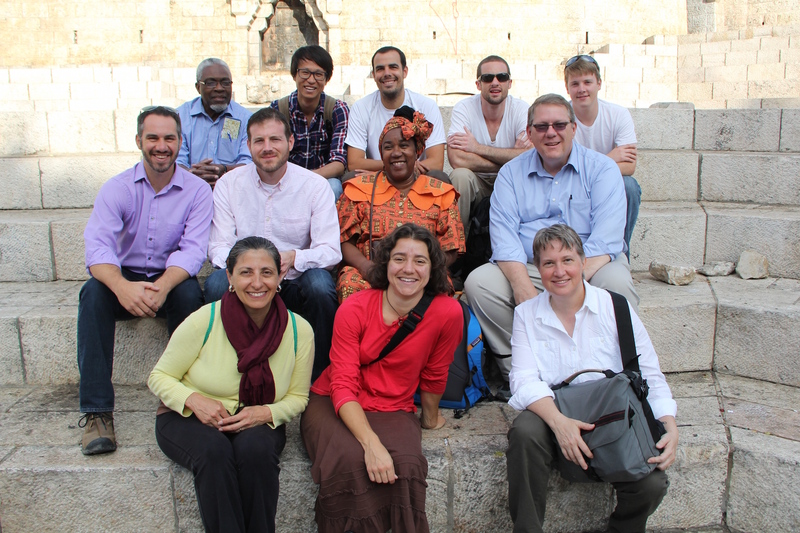 Taskforce members include Mary Keller (Zion/Eastern District representative), Jim King (Plains/Conference Board representative), Joe Hackman (Salford, facilitator), Brooke Martin (Franconia), Danilo Sanchez (Ripple/Whitehall) and Adrian Suryajaya (Philadelphia Praise Center). The diverse team seeks to understand current and emerging needs for congregations and youth across our conference community. In a time of changing demographics and priorities, the review and visioning process gives space to appreciate what past and current work while imagining upcoming possibilities and challenges. 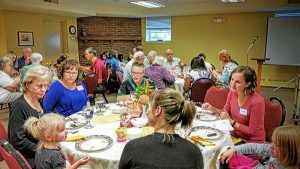 The Soueidans hosted a meal for the Salford Mennonite Church congregation on Sept. 17. The event marked the 15th anniversary of Sept. 11, 2001 and the Muslim Eid al-Adha (sacrifice feast) holiday. 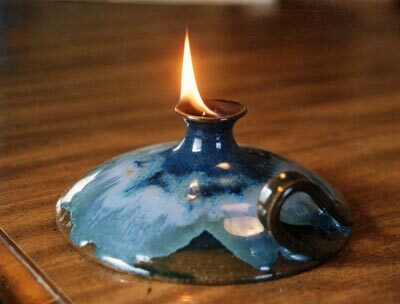 Phil and Betsy Moyer of Salford Mennonite Church attended an event in 2002 at the Indian Valley Public Library where they befriended Bachir and Salma Soueidan. The Soueidan’s have been residents of Harleysville since 1962, after moving to the area from Lebanon. Being of the Muslim faith they found a void where once they had a sense of community. Yet through their friendship with the Moyers the Soueidan’s, have found a sense of home at Salford Mennonite Church. 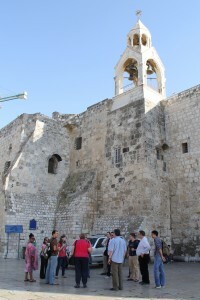 The church has provided them with a “refuge”, as Mr. Soueidan calls it. At the same time the Soueidans have helped the church achieve its goal of assisting refugees in resettlement. Both the Soueidan’s and Salford have found themselves learning from one another as they experience a true love for their neighbors. Read more about their friendship and the impact it is having here: http://www.montgomerynews.com/articles/2016/09/21/souderton_independent/news/doc57e3044d3a85f133876416.txt?viewmode=fullstory . On a Sunday several weeks ago, my family and I had several neighbors over to a “goodbye party” for our next door neighbor John, who had decided to move to an apartment closer to his son’s family after suffering the sudden loss of his wife in October. 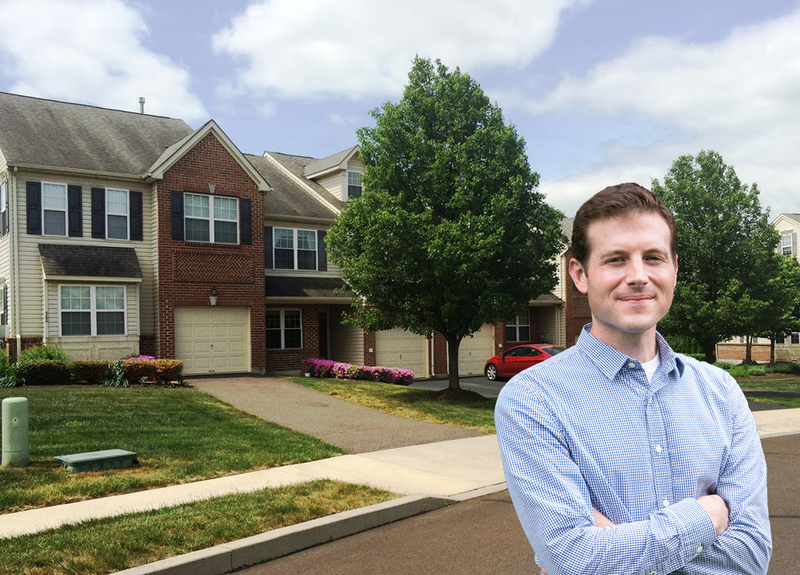 As we gathered together, we ate hoagies and Tandy cakes, and had pleasant conversation about what was happening in our neighborhood and in our lives. At 4 p.m., we awkwardly hurried the neighbors out the door to make room for our small group from church. For a few minutes, our neighbors and our small group shared the same space, one group cleaning up and moving out and the other group waiting for a space to move in and sit. What struck me about these two gatherings is how similar the conversations were in the two groups. There were neighbors suffering from struggles in professional and personal relationships. Church members maxed out by frenetic schedules. Everyone in need of supportive community. In thinking about supportive communities, a press release I read several weeks ago following the MCUSA’s Executive Board meeting came to mind. Buried at the end were several sentences about the EB counseling staff to include a new overarching priority within The Purposeful Plan that emphasizes a commitment to outreach, evangelism and church revitalization. 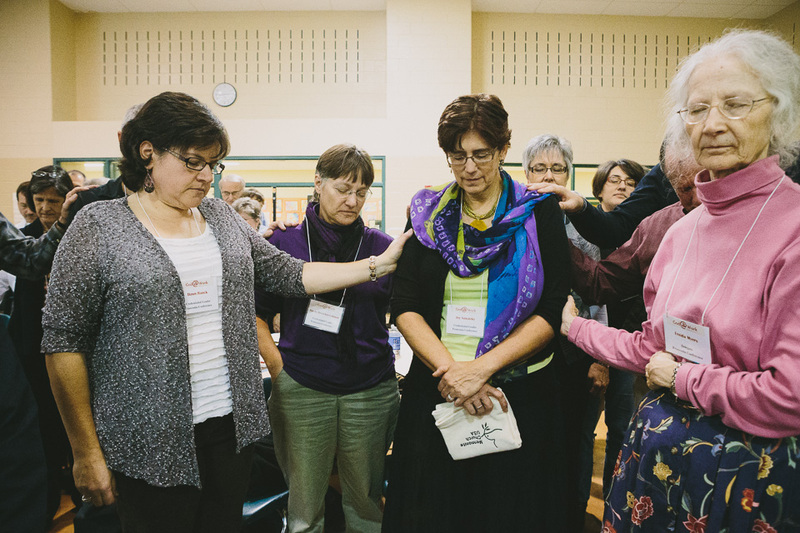 The EB recognizes that many congregations are struggling with identity and many Mennonites are not comfortable with evangelism, and so the board urged staff to give greater time and energy to these initiatives. Reading about this new priority raised both excitement and anxiety. I thought back to something I heard Andre Gingerich Stoner, Mennonite Church USA interchurch relations coordinator, say at one of the recent conventions: Mennonites tend to love service, flirt with peace and are allergic to evangelism. I think this description mostly fits my orientation to faith, as well as many in my congregation. In my neighborhood, people identify as Muslim, Hindu, nominal Catholics, and others claim no faith at all. They know I’m a pastor, and especially with those who have negative perceptions of church, I don’t want them to associate my family or Mennonites with strong armed evangelism. I notice in conversations with these neighbors how sensitive and deliberate I am in talking about my experience of Christian faith. On Sunday, even though the stories my neighbors and small group shared were not all that different, the way in which I shared my own was. This summer the delegate assembly will discuss a resolution on forbearance, an attempt for the church to remain united in the midst of our disagreements. I confess my spirit is fatigued by the seemingly never ending discussion on LGBTQ inclusion. There are days when I’m not sure I want to be in relationship with people who don’t have the same views as me. Yet, I don’t believe division is our destiny. Forbearance is more than a solution for how we can live together in this difficult season of the church. It can be a signal to our world that we believe the church does not only exist for those who are already a part of it, but for those who are yet to come. It can be a statement that rather than being driven by asking who is most right, we are driven by a vision of creating a community where people of all nations, backgrounds, and beliefs are baptized in the name of the Father, the Son and the Holy Spirit. It can be a statement that difference and diversity is blessing in Christian community, rather than a curse. Whether it’s with my neighbors or small group, most people are not looking for community that is consumed by the quest to be right, but rather one that cares deeply about one another, even when it’s difficult. Division is to follow the “course of this world” as Paul puts it in Ephesians 2. Neither my neighbors nor my small group need further polarization and divisiveness in their lives. Our families and communities are divided enough already. I support forbearance, not because I doubt or want to compromise my own conviction, but because my neighbors are just like you and me. They experience all the joys and hardship that life brings. Just like you and me, they deserve to be invited into the healing power of transformative Christian communities that give people the opportunity to experience faith, hope, and love. If all across our denomination we would make it a priority of inviting people to be part of our communities of faith, hope, and love, perhaps we too would remember the potential for the uniting love of the church that’s been there all along. 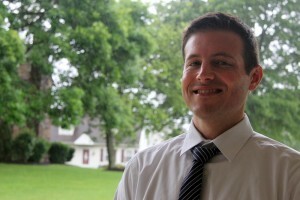 Joseph Hackman is lead pastor at Salford Mennonite Church and lives in Harleysville, PA.
Salford Mennonite Church, located in Harleysville, Pa., was founded in 1717. An agrarian congregation throughout its history, the past 50 years has seen a transition to a suburban and professional lifestyle for its members. Church leadership consists of a pastoral team of four (lead pastor Joe Hackman and three associate pastors, Maribeth Benner, Ben Wideman and Beth Yoder) with additional support staff, and a church board made up of nine members. 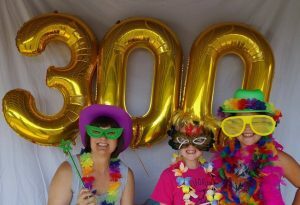 Present membership is 450, with an average Sunday morning attendance of 300. 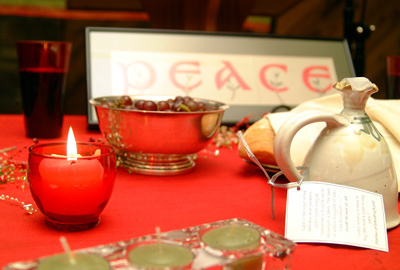 Our mission statement declares our desire to be “A joyful, learning community eager to live and share the peaceable way of Jesus.” We have a sister church relationship with Dios Con Nosotros in Mexico City, and a local neighbor relationship with Advent Lutheran Church of Harleysville. 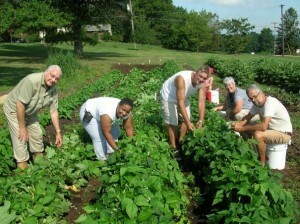 We have a garden ministry shared with Advent Lutheran, regularly participate in Mennonite Disaster Service trips, Chosen 300 Meal Ministry feeding the hungry in Philadelphia, and an active Justice and Peace ministry. Our facility is active during the week with Salford Mennonite Child Care Centers (campuses at Salford and Dock Woods community). Our congregational focus for the next few years is “Learning to Listen: across the generations, in our personal lives, and in our local community.” See our website and our photoblog for more glimpses of life and ministry at Salford. Last summer my family spent some vacation time at our cabin in Central Pennsylvania’s Big Valley. I always love going there to visit my grandmother, which often means returning home with some sort of sinfully sugary gooey treat, most often a pecan pie that I’m certain would bring the highest bid at any of our church youth auctions. On this most recent trip, however, I returned with something different. My grandmother has been downsizing for several years and this time she asked me if I wanted the woodbox. The woodbox has been in our family since 1837, or so we’re told, and has held firewood for Yoder families in the Valley for generations. Our Harleysville townhouse has a propane gas fireplace, so my family doesn’t need a box to hold wood. We do, however, need a box to hold toys. With a three-year-old who seems to have an endless supply of dolls, stuffed animals, and countless forms of colorful molded plastic, I’m always looking for something — anything — that can contain our avalanche of toys. Our handed down woodbox has become a toy chest resting next to our bay window and is now the home of Dora and Pooh Bear. Franconia Conference has a lot in common with wood boxes that have been converted into toy chests. 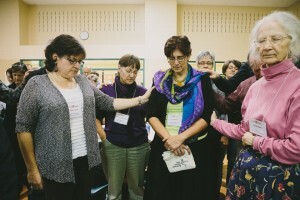 The first bishops of our conference could not have imagined what we’ve become today — a network of theologically and culturally diverse congregations spanning the East Coast from Vermont to Georgia who worship in four languages. We communicate with both hashtags and snail mail. We gather at both the Heritage Restaurant in Franconia and Umai Royal in Center City Philadelphia. We raise our hands to worship and wash one another’s feet. We are a people blessed with diversity. The board statement for conferring (see your docket if you don’t know what I’m talking about) is an affirmation of God’s gift of diversity and a signal that this diversity will increase in coming years — praise be to God! 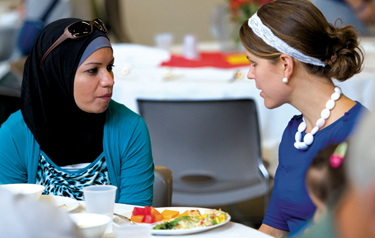 How do we continue to be a united church amid increased diversity? For 300 years, our Franconia Conference ancestors have passed on to us a legacy of faithful Christian witness, and this history of faithful witness is a gift that we must treasure and use. But to continue adding to and strengthening this witness, we also must acknowledge the changing world around us. 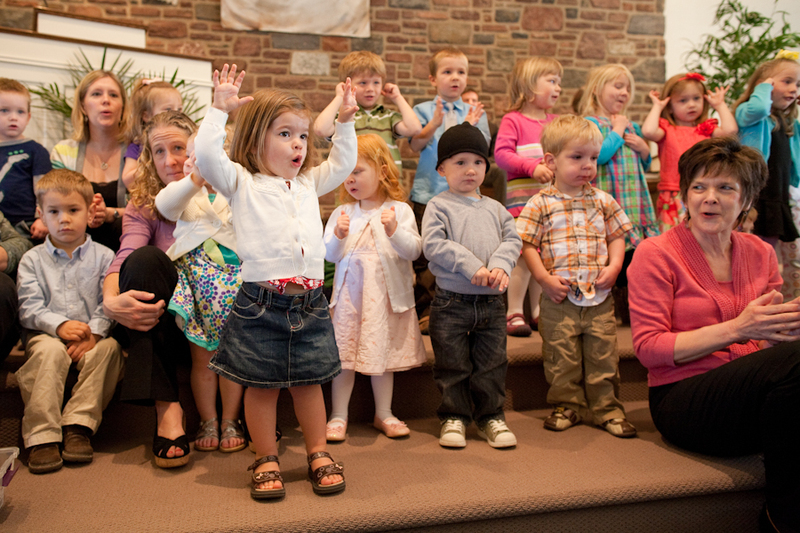 What is most needed to continue being a faithful conference– a woodbox or a toy chest? Our board believes the future of our conference is bright because our leaders and congregations are made up of people who truly believe Paul’s words to the Ephesians — that we serve a God who is able to do immeasurably more than all we can ask or imagine. God is [still] at work within us, throughout all generations. This is our hope! I encourage you to come to Conference Assembly this year ready to confer and to ask and imagine where God is still at work in this beautiful, faithful, diverse network of congregations that we call Franconia Conference.